1992, Erik received his first heart transplant at the age of 12 and was forced to give up all contact sports. 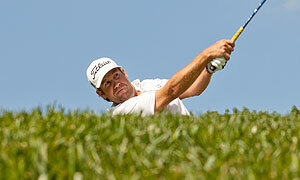 Erik Compton has been honored with the PGA TOUR Courage Award by the Player Director’s Panel and PGA TOUR Commissioner. 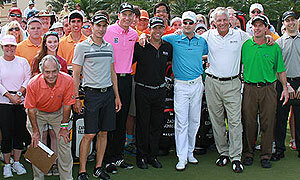 The PGA TOUR Courage Award is a new acknowledgment this year. Previously known as the Comeback Player of the Year Award, which has not been awarded since 2010, it is now aimed to honor a player... Read more. Erik was born in Miami Florida where he learned the game of golf at the age of 12. Six years later Erik became the #1 ranked junior golfer in the United States and the 1998 AJGA Rolex Junior Player of the Year. He accepted a scholarship to play golf for the University of Georgia, where he went on to become a two time All-American playing on the 2001 Palmer Cup and Walker Cup teams. Erik is best known... Read more.